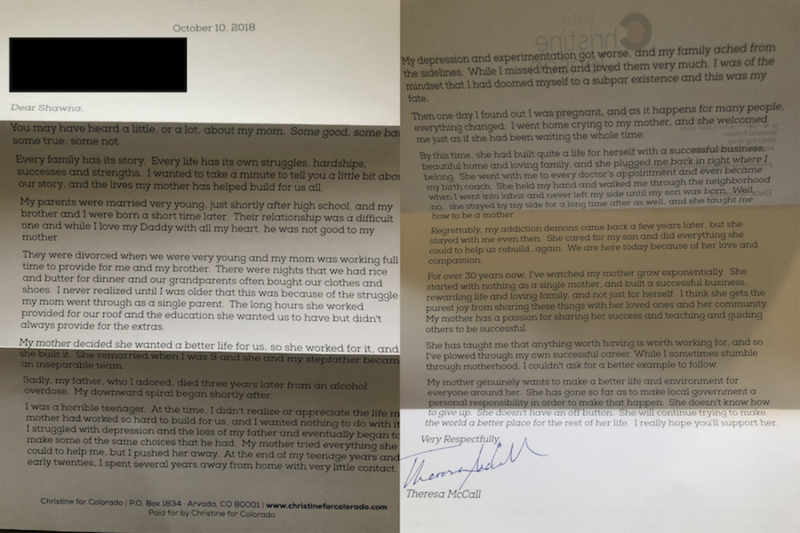 This letter from Republican Christine Jensen's Senate campaign is from the candidate's daughter, describing her past drug addiction and how her mother helped her when she was single and pregnant. She commends her mother for becoming a businesswoman as a single mother and raising a family. Jensen is running against Democratic state Rep. Jessie Danielson in an open Senate district centered in Arvada and Wheat Ridge.